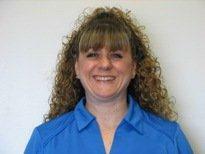 We are proud to introduce you to our Express Service Advisor, Lisa Marie Agolio. Lisa Marie has been with the Rothrock Family for 3 years. She has 20 years of automotive experience and has lived in the Lehigh Valley for 10 years. Lisa Marie experiences have been in almost every facet of the car business including parts, administration and financing. Her bright personality is a wonderful balance to her knowledge and expertise in the automotive industry. When you first enter the Rothrock Service Department, Lisa Marie will more than likely be the first person you see and we could not have a more perfect representative as the face of the Rothrock commitment to you and your automotive needs. Lisa Marie and her husband Bob live in the Valley with her 3 children; Andrea, Gianna and Samantha along with their 2 dogs Cabela and Isabelle. We know that sometimes coming into a dealership may not seem as intimate as a local garage, but please don’t let the brick and mortar keep you from meeting the warm and wonderful people that we are proud to not only call employees and team members, but friends as well. Please join the other 70% of fans of the Rothrock Family who faithfully service their vehicles with us after purchase and make some new friends.